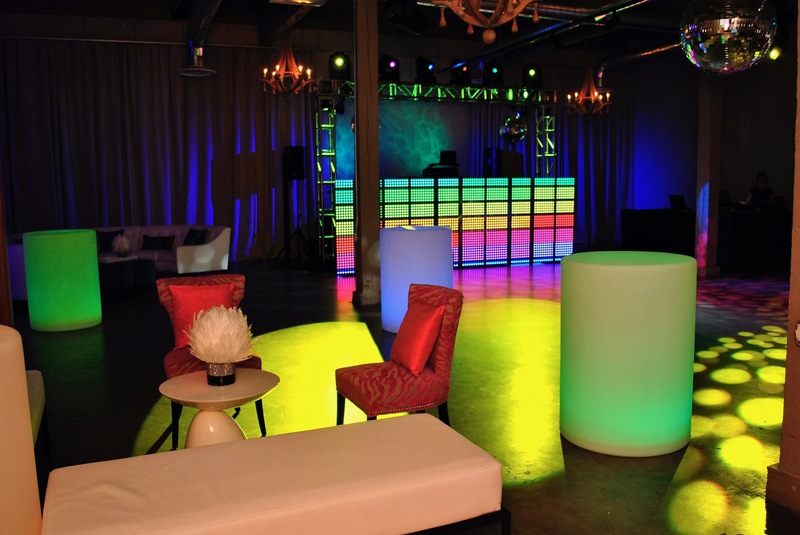 Vincent who grew up in the midwest opened his own event production company in 1995. His goal was to provide his clients with a more personalized experience for planning their event. 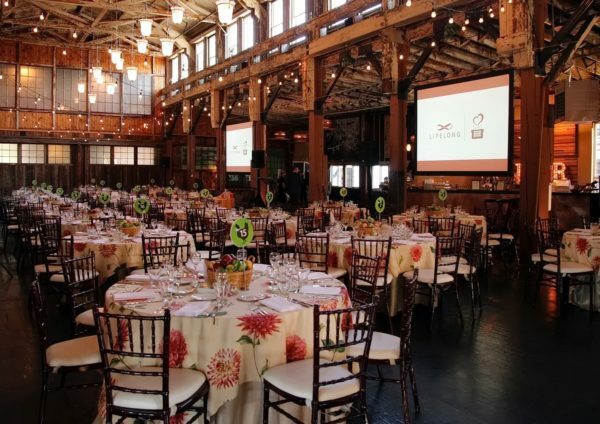 As a full-service event planner and designer, Vincent coordinates each essential detail through a diverse and specialized group of event professionals. “I have always thought of myself as the “producer” coordinating all of the details and providing my clients with the very best that is available to them,” explains Vincent. When you attend a Vincent Lipe event, prepare to be fully immersed in the theme. As a world traveler, Vincent integrates international elements into his event styling. While traveling Vincent is inspired by everything from New York window displays, to spice markets in South Africa. “I am a very visual person. I pay attention to everything I see that brings me pleasure, happiness, and excitement. I am always curious about what other creative types are doing and how they make it special for their environment,” says Vincent. Not only is he an expert at turning a client’s vision into a reality, he also has the ability to seamlessly integrate personal touches throughout the event creating truly memorable experiences for his clients. One of his favorite events was a 60th birthday party. Vincent drew inspiration from his client’s three favorite things; death metal music, Bali, and dancing. He divided The Foundry into three separate experiences. Guests were welcomed with cocktails in the Barrel Room, which celebrated the couple’s favorite destination in Bali. Video projections of fish, porpoises, and stingrays created a unique underwater atmosphere while guests enjoyed seafood nibbles and a scotch & vodka tasting bar. Dinner followed cocktails across the hall and appealed to his client’s passion for death metal music. 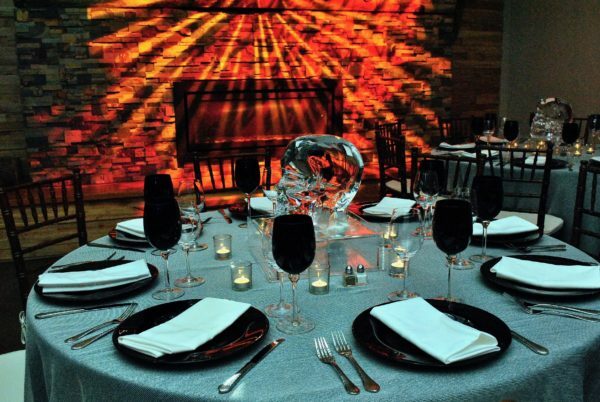 Low lighting, candelabras, and individual skull ice carvings completed the goth-inspired design. After dinner service, barn doors opened to reveal a disco dance party complete with two light operators orchestrating an elaborate light show. Vincent’s creativity and attention to personalized details created a meaningful and unforgettable celebration for his client. Another one of Vincent’s favorite events is the “Summer Supper,” benefiting Lifelong. For the 5th consecutive year, Vincent partnered with Herban Feast and hosted the event at Sodo Park. 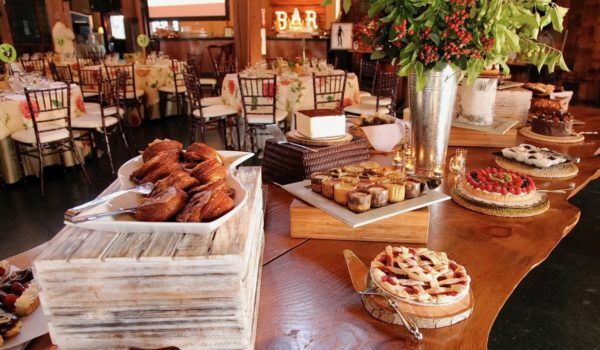 The 2018 theme was, “A Country Hoedown,” and featured a delicious menu inspired by country comfort food. Nectarine BBQ pork, cornbread, and watermelon feta canape were just a few of the selections enjoyed by nearly 200 guests in attendance. Lifelong and the Chicken Soup Brigade provide essential support and resources to people living with chronic illnesses. Vincent continues to work with Herban Feast for events at Sodo Park, The Foundry, private residences, and corporate offices. For Herban Feast Clients, Vincent does more than just style and manage the logistics, he transforms each event into something truly extraordinary.